Want to be hired by Raynah? 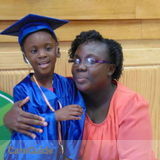 My name is Raynah M. I have a 5 year old that needs transportation to and from her baby sitter's house. Which is 9 minutes apart. M-F 7:35a pick up from sitter to school. School starts accepting kids at 7:45 and a 2:40 pick up from school with a transport to sitter. Each pick and drop off should take under 30 minutes but I will pay 10 a day. Because at $10/hr you will be spending less than half of that time each pick up or drop off. This is mainly only for the winter with possibility to extend. I may not always need drop off but most always I will need pick up. This position starts --.... I am very good about giving the schedule a week in advance. Please call me or email me to let me know if you are available. Thank your so much for your time.